Punk pop became a lucrative commodity in the late 90s, as countless skaters decided to put down their boards and pick up instruments in the hope of enjoying the commercial success achieved by bands such as Green Day and Blink-182. 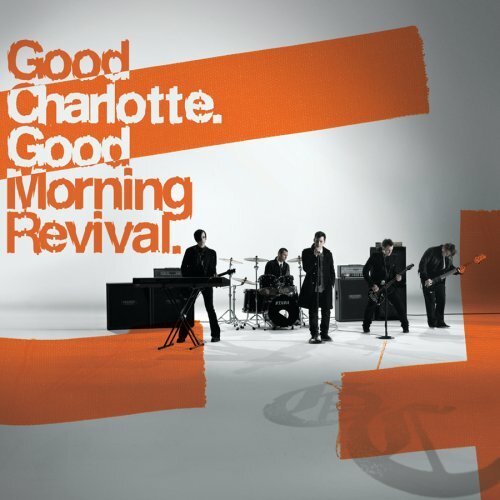 The Waldorf, Maryland, USA-based quintet, Good Charlotte, is just one of a countless stream of similarly styled bands, using the same chord patterns and vocal inflections. The band's leaders are twin brothers, vocalist Joel and guitarist Benji Madden (b. 11 March 1979, USA), who began writing songs together at the age of 16. Influenced by bands such as Rancid and Green Day, the duo cut a demo tape, and upon their high school graduation in 1997, relocated to Berkeley, California, to try to follow in the footsteps of their heroes Green Day. Things did not exactly work out that way, and the twins returned to Maryland and completed Good Charlotte's line-up by enlisting Billy (b. William Martin, 15 June 1981; guitar), Paul Thomas (b. 5 October 1980; bass), and Aaron (drums). In 2000, Good Charlotte signed with Epic Records, and the same year, issued a self-titled debut album. The band supported the release by touring steadily throughout the remainder of 2000 and for much of 2001, during which time they opened shows for MxPx and travelled as part of the Warped Tour, while Benji and Joel regularly hosted the MTV show, All Things Rock. Aaron left the band prior to the recording of Good Charlotte's second album, The Young And The Hopeless, which featured session drummer Josh Freese. The singles "Lifestyles Of The Rich And Famous" and "The Anthem" became staples on the MTV and VH1 channels. The band's third album debuted in the US Top 5 in October 2004.